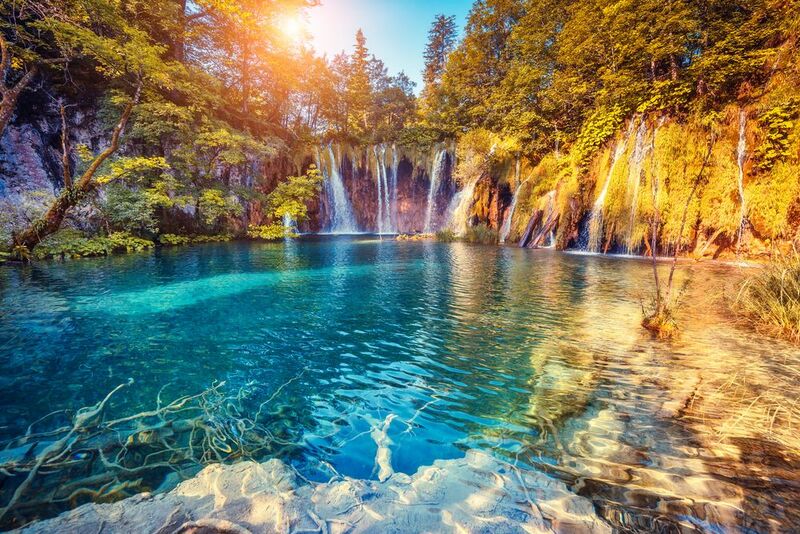 Croatia has been growing steadily in popularity over the past two decades and is now the fifteenth most popular tourist destination in the world. Just one visit to this beautiful maritime nation is all it takes to fall in love with the place – and many tourists do, returning year after year. The majority of visitors to Croatia head for Dubrovnik to walk around the historic old town, taking in the architecture and attractions. 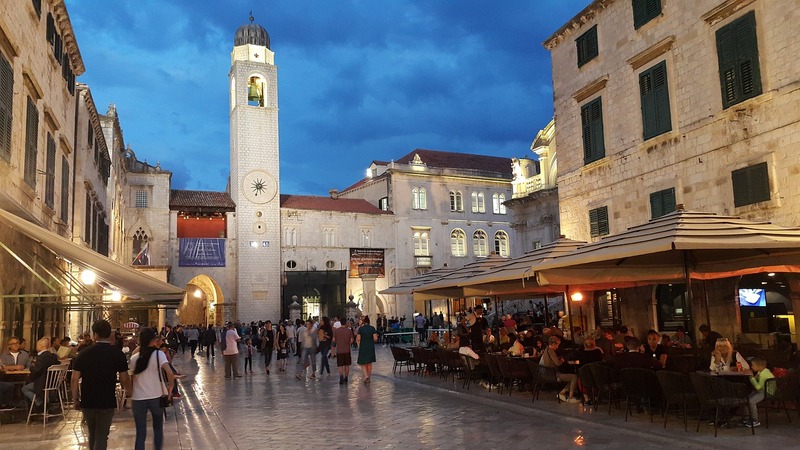 And the city has become even more popular in recent years as Game of Thrones fans flock to Dubrovnik to visit some of their favourite locations for the series. 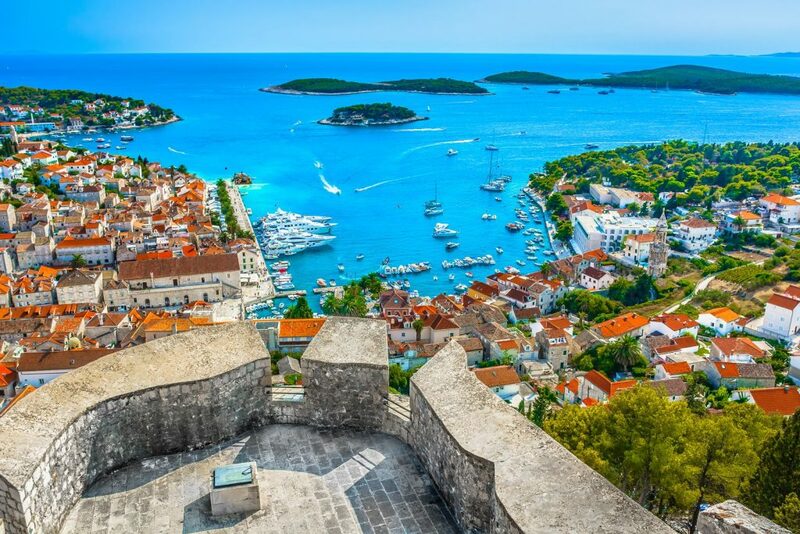 Here are some of our expert tips for making the most of your visit to Croatia, and our Top 9 attractions and things to do in Dubrovnik. 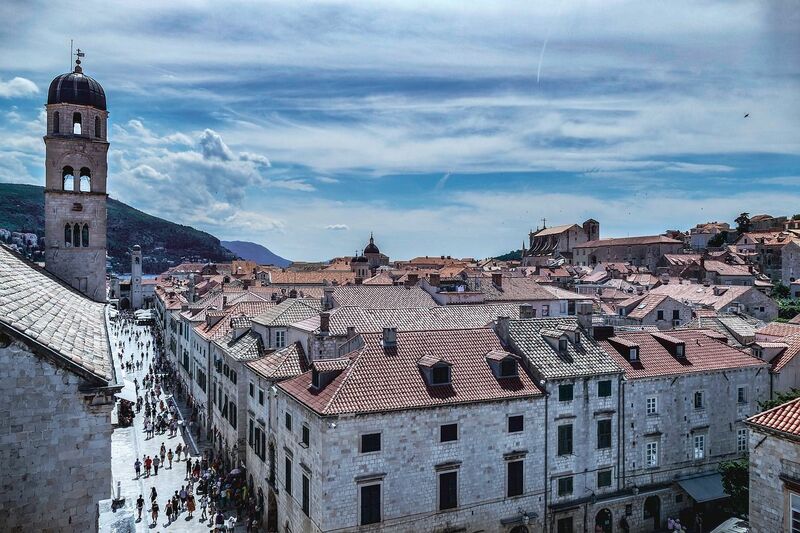 A walk along Dubrovnik’s medieval city walls is one of the best ways to get a panoramic view of the town. 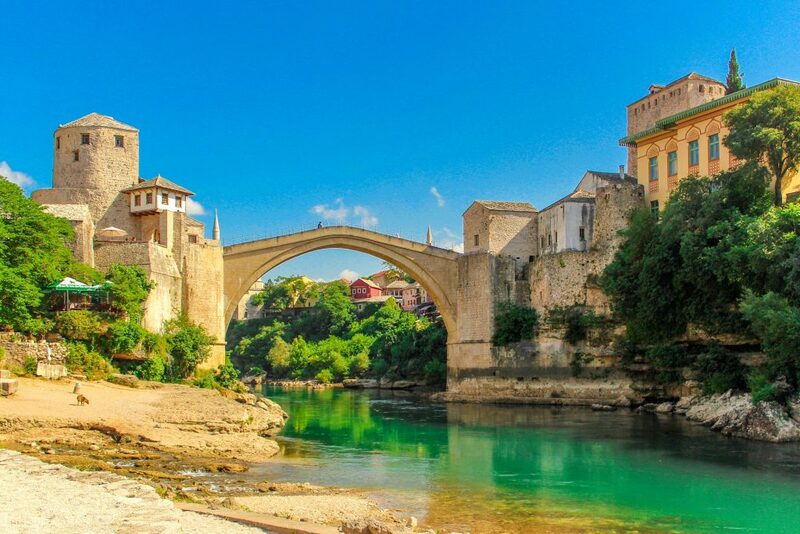 The walls were first built in the 13th century, with reinforcements in the form of towers and fortifications added in the 15th Century to protect the city from invasion by the Ottoman army, after the fall of Constantinople in 1453. It takes around one hour to complete the full circuit at a leisurely pace, with plenty of time to stop for photographs. The wall can get busy though, especially during the summer months: the best way to beat the crowds is to set off early and to avoid the same day when large cruise ships arrive in town. A walk around the winding streets of Dubrovnik’s old town feels like taking a step back in time, and you can get happily lost for hours, exploring the various nooks and alleyways, stopping to sample some of the local cuisines. The old town of Dubrovnik is literally jam-packed with interesting buildings and architecture around every corner, and the best way to see it all is simply to take your time and discover the ancient fortresses, churches and monasteries, palaces and museums. The Stradun, or Placa, is the main thoroughfare through the old town, with a dramatic clock tower overlooking the limestone pavements below. The city also boasts a Cathedral featuring a triptych by Titian and other artworks by the Italian masters, as well as a 14th-century Franciscan church and monastery. You’ll find beautiful scenery all around Dubrovnik, but undoubtedly the best view is from the top of Mount Srd, which towers 400 metres above the city. Don’t worry, you don’t have to hike to the top – there is a cable-car which operates all day and runs until late during the summer months. By day, you’ll be able to see the clay tiles of the rooftop below, set against the sparkling Adriatic coast; by night you can watch the sunset beyond the twinkling lights of the city. Why not take a picnic, and really make the most of it? 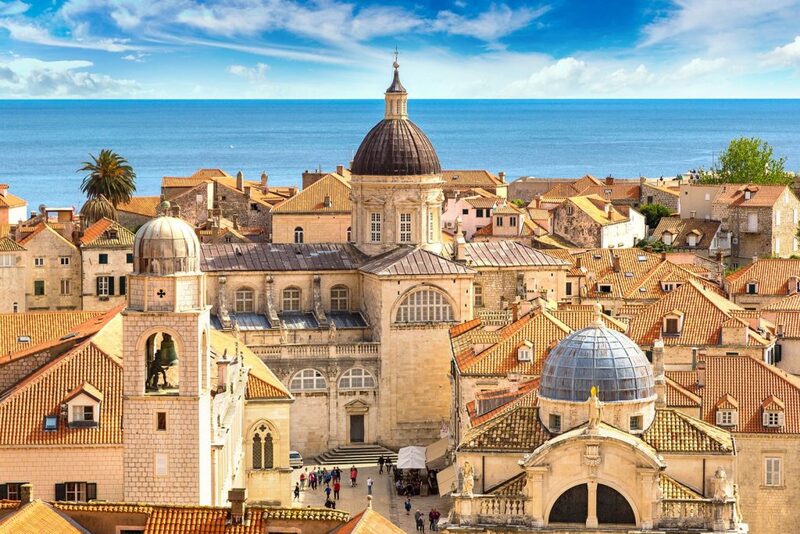 If you love some retail therapy while on holidays, you’ll love exploring the various markets of Dubrovnik’s old town. There are numerous markets scattered throughout the town, offering everything from fruit and vegetables, herbs and spices to lavender, dried flowers and aromatherapy oils. We recommend sampling some of the local Loza and Travarica, which is a locally produced strong, flavoured brandy, which is unique to Croatia. When you think of fine wines, you might not immediately consider Croatia as one of the top wine-producing countries; but if you are partial to a glass or two then you simply must try some of the region’s red and white wines. 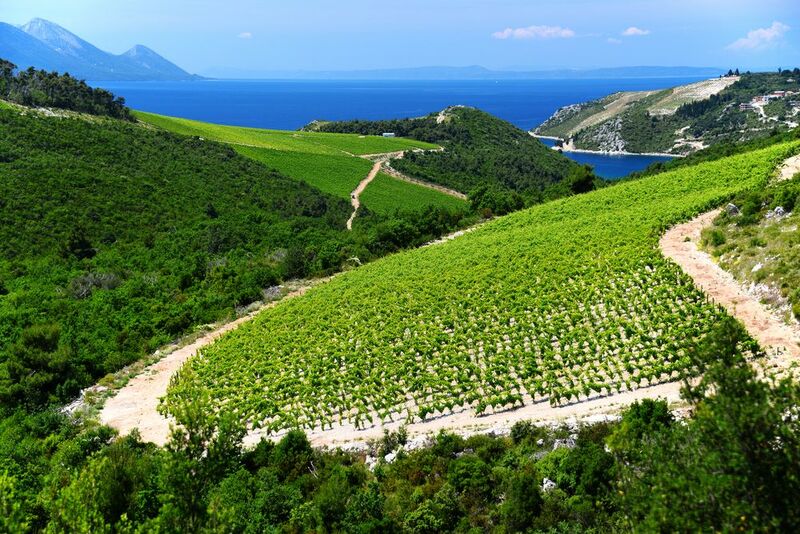 Croatia’s red wines come from the native Mali Plavac grape, which is grown on steep hillsides, surrounded by the sea. It is this geography which gives Croatia’s wines their unique flavour. Take a day-trip to visit some of the wineries, or check out the city’s wine bar, D’Vino, which stocks more than 100 varieties of wine. The coastline around Dubrovnik has plenty of interesting islands, caves, arches and rock formations to explore, and one of the best ways to do this is by Sea Kayaking. In the morning, your instructor will go through a few basic paddling techniques with you, and after that, it’s a fairly straightforward activity to master, even if you’ve never done it before! Sea kayaking offers you a unique perspective and allows you to reach parts of Dubrovnik’s surrounding areas that are inaccessible otherwise. If you are feeling really brave then there are also places nearby where you can swim, snorkel and cliff-jump; or if you’re feeling a little less energetic you can relax on one of the beautiful sandy beaches with a cocktail. Don’t worry, if sea kayaking isn’t your thing, then you can still visit some of these coastline attractions from the safety of a ferry boat. 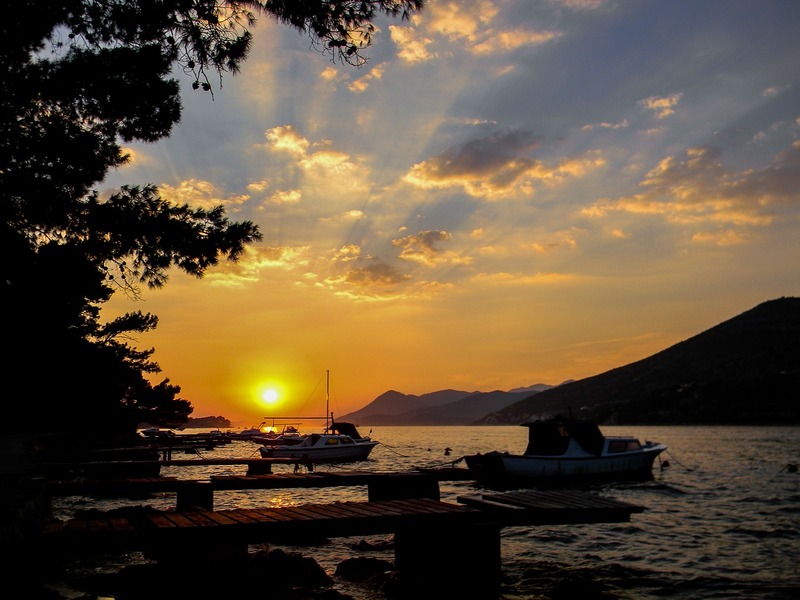 During the summer months, there is a regular taxi boat, ferrying passengers back and forth on the ten-minute journey to Lokrum Island. This is an unspoiled paradise which can be easily seen from Dubrovnik and allows you to escape the crowds and enjoy the cypress, eucalyptus and pine forest which covers most of the island. There are walking trails across the island, leading to rocky coves, a saltwater lake, and an abandoned 11th-century Benedictine monastery. You will also find a villa built by Archduke Maximilian von Hapsburg, complete with botanic gardens, peacocks and promenades. 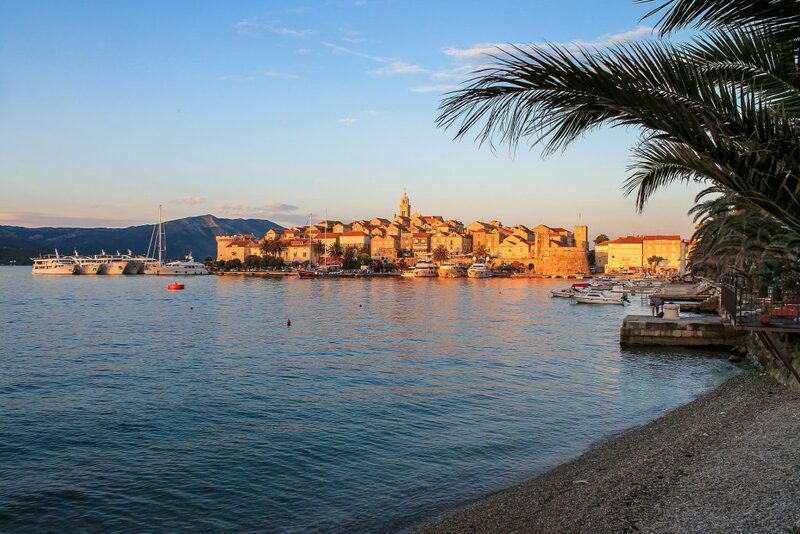 The Lacroma bar/restaurant overlooking the jetty is the ideal place to end your visit while you sip a cool drink and await your ferry boat back to Dubrovnik. 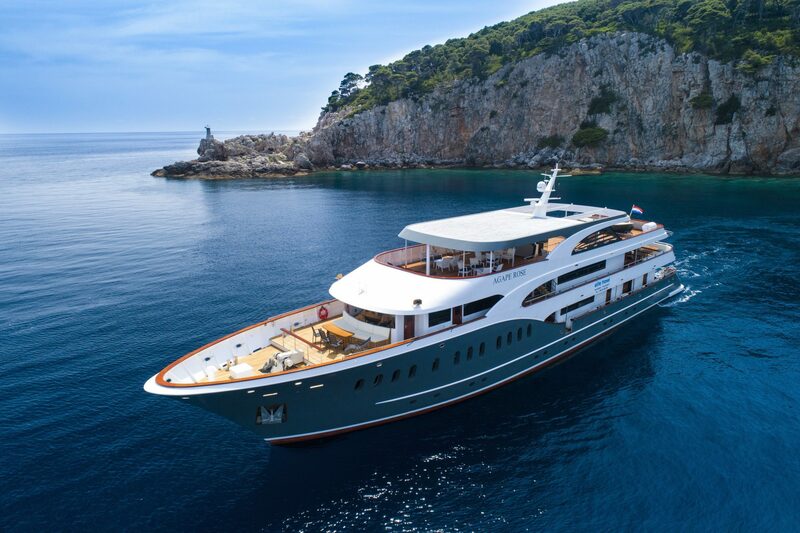 One of the biggest and most anticipated cultural events in Croatia is the Dubrovnik Summer Festival, which takes place throughout the summer, and includes theatre and performance, orchestral music, ballet, opera and more, featuring top artists from Croatia and beyond. The highlights of 2019’s programme include theatrical performances of Shakespeare’s Hamlet, and Antoine de Saint-Exupéry’s The Little Prince. 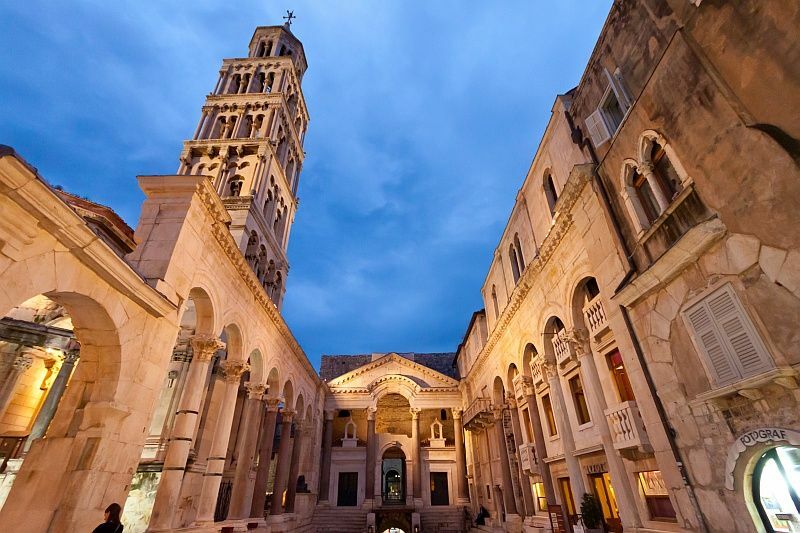 Some of Dubrovnik’s most prestigious buildings turn into performance venues for the duration of the festival, including the Lovrijenac Fortress, Cathedral, St Blaise’s Church, Lokrum Island and Sponza Palace. Tickets will be in high demand, so if you plan to catch one of the main performances you should book well in advance, but even if you miss out, there will still be plenty to see around the town and in smaller venues. This year (2019) is the Summer Festival’s 70th Anniversary, so there is sure to be plenty of celebrations planned to mark the occasion. 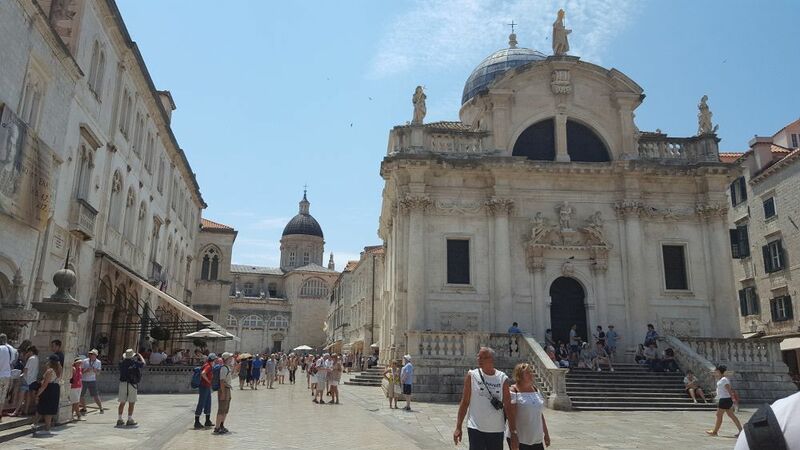 If you’re a fan of the TV series, Game of Thrones, then you’ll recognise plenty of locations as you wander around Dubrovnik, and there are even organised tours to ensure you don’t miss anything. 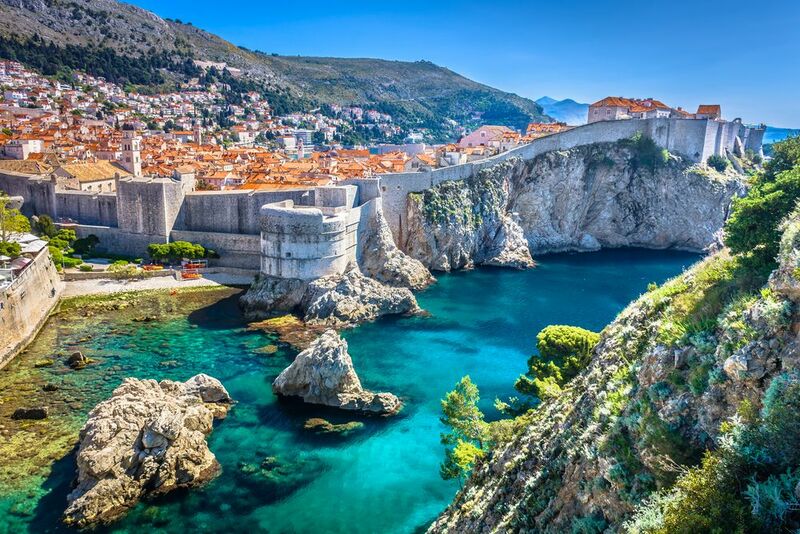 Dubrovnik was the main filming location for Kings Landing, home to the formidable House of Lannister; and was also the main location for Qarth, where Daenerys’ dragons are captured and imprisoned in a tower. 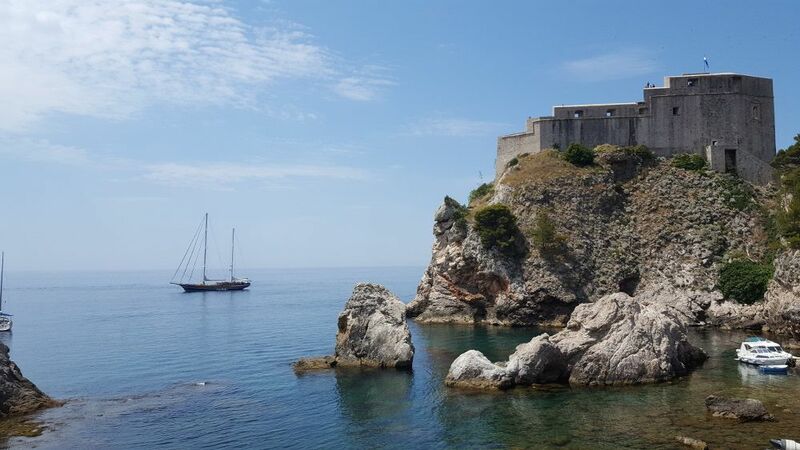 Dubrovnik’s Lovrijenac Fort became the Red Keep (home to the iron throne) during the series, and the Spanish steps next to Saint Ignatius Church is where Cersei began her walk of shame. You can even visit the spot in Gradac Park where King Joffrey was poisoned! 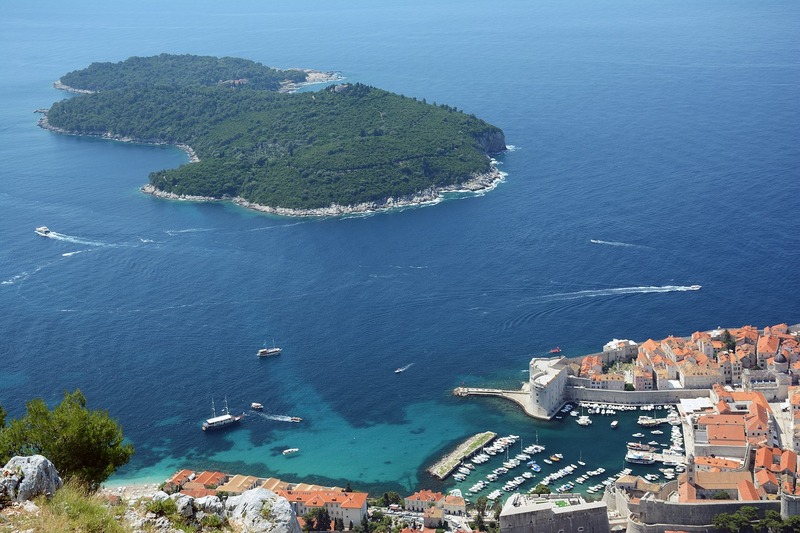 So there you have it – Dubrovnik has something for everyone, whether you’re travelling as a family, group, couple or solo traveller. 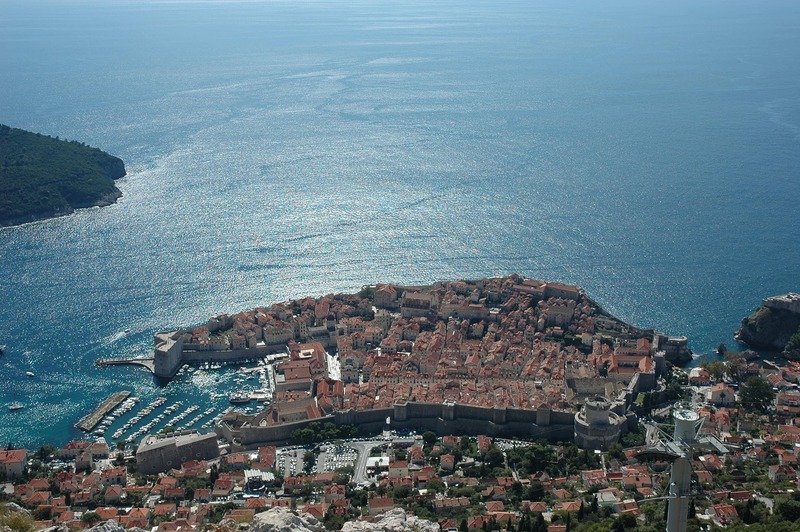 We are sure you will fall in love with the ancient city and will find plenty to do in Dubrovnik.